People often ask me what the best books about Sensory Processing Disorder to read are for parents of sensory kids. And while I’m always happy to offer my opinion, I thought I’d let the community chime in. By looking at my stats from last year, I can see the most popular book posts you visited on The Sensory Spectrum. Following is a list of the most popular books about Sensory Processing Disorders of 2014 based on your visits to The Sensory Spectrum. This post contains affiliate links. 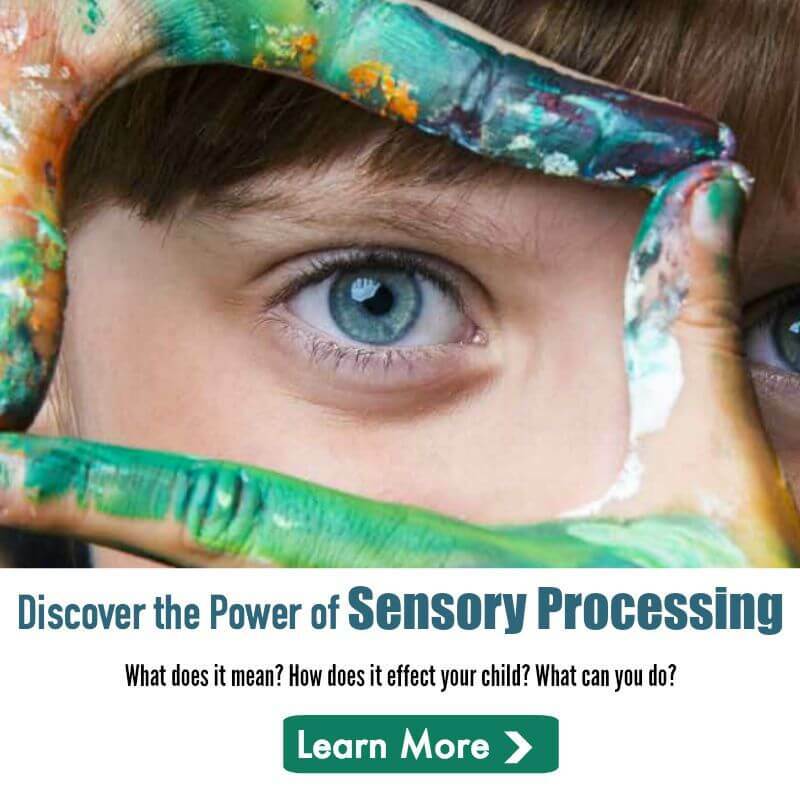 Understanding Your Child’s Sensory Signals : This practical, daily application handbook is helping parents, teachers, and caregivers all over the world to understand sensory signals and cues from a child rather than jumping to the conclusion of behavior driven. This user friendly “go to” handbook is geared for daily use. This handbook provides guidance and understanding as to why children do what they do in regards to unique sensory processing differences and needs. 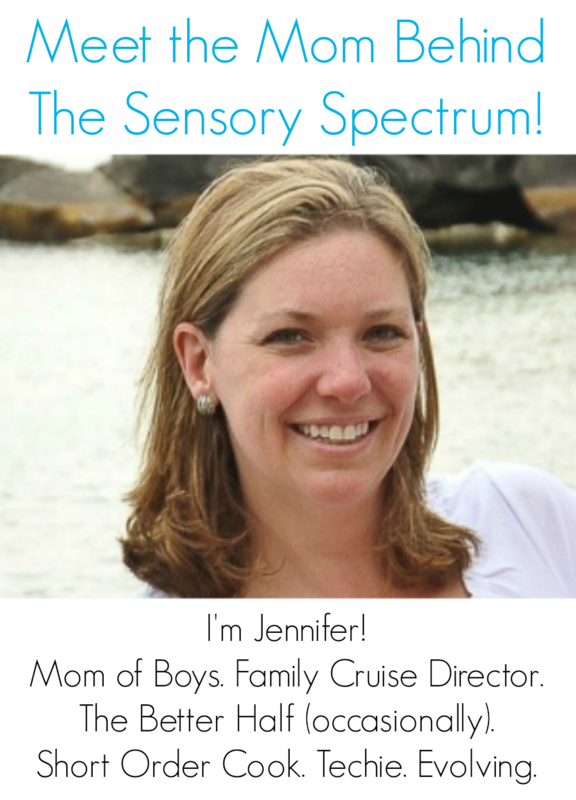 When you respect a child’s sensory differences, it will change how you respond. Keep it Real. Keep it Simple. Keep it Sensory! Raising a Sensory Smart Child: The Definitive Handbook for Helping Your Child with Sensory Processing Issues : For children with sensory difficulties-those who struggle to process everyday sensations and exhibit unusual behaviors such as avoiding or seeking out touch, movement, sounds, and sights-this groundbreaking book is an invaluable resource. Sensory integration dysfunction, also known as sensory processing disorder, affects all kinds of children-from those with developmental delays, attention problems, or autism spectrum disorders, to those without any other issues. Coauthored by a pediatric occupational therapist and a parent of a child with sensory issues, this updated and expanded edition of Raising a Sensory Smart Child is comprehensive and more helpful than ever. The Out-of-Sync Child : The Out-of-Sync Child broke new ground by identifying Sensory Processing Disorder, a common but frequently misdiagnosed problem in which the central nervous system misinterprets messages from the senses. This newly revised edition features additional information from recent research on vision and hearing deficits, motor skill problems, nutrition and picky eaters, ADHA, autism, and other related disorders. One of the best ways for children with autism, Asperger’s, and sensory processing disorders to learn is through play. Children improve their motor skills, language skills, and social skills by moving their bodies and interacting with their environment. Yet the biggest challenges parents, teachers, and loved ones face with children on the autism spectrum or with sensory processing disorders is how to successfully engage them in play. Pediatric occupational therapist Tara Delaney shows you how to teach your children by moving their bodies through play. These interactive games are quick to learn but will provide hours of fun and learning for your child. And many of the games can be played indoors or outdoors, so your child can enjoy them at home, outside, or on field trips. Just Take a Bite: Easy, Effective Answers to Food Aversions and Eating Challenges : Is your child a “picky” eater or a full-fledged resistant eater? Does he or she eat only 3-20 foods, refusing all others? Eat from only one food group? Gag, tantrum, or become anxious if you introduce new foods? If so, you have a resistant eater. Learn the possible causes, when you need professional help, and how to deal with the behavior at home. Learn why “Don’t play with your food!” and “Clean your plate!”—along with many other old saws—are just plain wrong. And who said you have to eat dessert last? Get ready to have some stereotypes shattered! Totally Chill: My Complete Guide to Staying Cool A Stress Management Workbook for Kids With Social, Emotional, or Sensory Sensitivities : A stress management workbook that is meant to be read, completed, and used as much as possible by children themselves. Its fun graphics and interactive style make it ideal for children grades 3 through middle school. Everyone feels stress adults and children alike. It s part of life. But life can be a lot easier when we learn new skills and ideas to help us handle the stress in our lives. The Explosive Child: A New Approach for Understanding and Parenting Easily Frustrated, Chronically Inflexible Children : Screaming, swearing, crying, hitting, kicking, spitting, biting…these are some of the challenging behaviors we see in kids who are having difficulty meeting our expectations. These behaviors often leave parents feeling frustrated, angry, overwhelmed, and desperate for answers. In this fully revised and updated book, Dr. Ross Greene helps you understand why and when your child does these things and how to respond in ways that are nonpunitive, nonadversarial, humane, and effective. Parenting a Child Who Has Intense Emotions: Dialectical Behavior Therapy Skills to Help Your Child Regulate Emotional Outbursts and Aggressive Behavior: Other parents may have told you that it’s just a phase or that your child needs discipline. In reality, your child may have emotion dysregulation, a tendency to react intensely to situations other children take in stride. Parenting a Child Who Has Intense Emotions is an effective guide to de-escalating your child’s emotions and helping your child express feelings in productive ways. You’ll learn strategies drawn from dialectical behavior therapy (DBT), including mindfulness and validation skills, and practice them when your child’s emotions spin out of control. This well-researched method for managing emotions can help your child make dramatic emotional and behavioral changes that both of you will be proud of. As inclusion becomes the norm in general education, teachers are faced with behaviors they have never seen before. Special needs educators may recognize the telltale symptom of a sensory need or a textbook-case of an avoidance behavior, but this is all new territory for the general-ed crowd! Written by Director of Special Education Peter Gennaro, occupational therapist Beth Aune, and special needs mom and advocate Beth Burt, this book illuminates possible causes of those mysterious behaviors, and more importantly, provides solutions! Teachers can quickly look up an in-the-moment solution and learn about what the child is communicating, and why. Parenting the Strong-Willed Child: The Clinically Proven Five-Week Program for Parents of Two- to Six-Year-Olds, Third Edition : Rex Forehand, Ph.D. and Nicholas Long Ph.D. have helped thousands of parents achieve discipline using positive reinforcement, without yelling or harming the child’s self-esteem. Their clinically proven, five-week program gives you the tools you need to successfully manage your child’s behavior, giving specific factors that cause or contribute to disruptive behavior; ways to develop a more positive atmosphere in your family and home; and strategies for managing specific behavior problems. The completely revised and updated edition includes: new information, based on research, about child temperament; new chapter on the hot topic of play as a means of strengthening parent-child relationship; new section on collaborative disciplining with preschool teachers; expanded section about depression and stress linked to parenting; new research findings about ADHD and its treatment. Social Rules for Kids: The Top 100 Social Rules Kids Need to Succeed : Social Rules for Kids helps open the door of communication between parent and child by addressing 100 social rules for home, school and the community. Writtendirectly to the student, these clear rules cover topics such as body language, manners and feelings. Reminders of appropriate social rules at the end of each page are combined into a complete list at the end of the book for easy reference. Answers to Questions Teachers Ask about Sensory Integration: Forms, Checklists, and Practical Tools for Teachers and Parents : In this elegant approach to the often-elusive subject of sensory integration, Carol Kranowitz, M.A. (author of the best-selling book The Out-of-Sync Child) and additional expert occupational therapists have assembled an extensive and easy-to-use set of checklists and other tools that will be invaluable to every teacher (and parent) who has children with sensory processing challenges. You’ll find tried-and-true instructions for developing fine-motor, “organizing,” and motor-planning skills, and for providing an appropriate “Sensory Diet” that will benefit all your students. Freeing Your Child from Anxiety, Revised and Updated Edition: Practical Strategies to Overcome Fears, Worries, and Phobias and Be Prepared for Life–from Toddlers to Teens : Freeing Your Child from Anxiety contains easy, fun, and effective tools for teaching children to outsmart their worries and take charge of their fears. This revised and updated edition also teaches how to prepare children to withstand the pressure in our competitive test-driven culture. Learn the tips, techniques, and exercises kids need to implement the book’s advice right away, including “How to Talk to Your Child” sections and “Do It Today” activities at the end of each chapter. These simple solutions can help parents prevent their children from needlessly suffering today—and ensure that their children have the tools they need for a good life tomorrow. The Whole-Brain Child: 12 Revolutionary Strategies to Nurture Your Child’s Developing Mind : In this pioneering, practical book, Daniel J. Siegel, neuropsychiatrist and author of the bestselling Mindsight, and parenting expert Tina Payne Bryson offer a revolutionary approach to child rearing with twelve key strategies that foster healthy brain development, leading to calmer, happier children. The authors explain—and make accessible—the new science of how a child’s brain is wired and how it matures. The “upstairs brain,” which makes decisions and balances emotions, is under construction until the mid-twenties. And especially in young children, the right brain and its emotions tend to rule over the logic of the left brain. No wonder kids throw tantrums, fight, or sulk in silence. By applying these discoveries to everyday parenting, you can turn any outburst, argument, or fear into a chance to integrate your child’s brain and foster vital growth. Food Chaining: The Proven 6-Step Plan to Stop Picky Eating, Solve Feeding Problems, and Expand Your Childs Diet : Initially developed by co-author Cheri Fraker in the course of treating an eleven-year-old who ate nothing but peanut butter, bread, and milk, Food Chaining is a breakthrough approach for dealing with picky eating and feeding problems at any age. Food Chaining emphasizes the relationship between foods in regard to taste, temperature, and texture. In Food Chaining, the internationally known feeding team behind this unique method shows how to help your child enjoy new and nutritious foods, no matter what the nature of his picky eating. The guide also includes information on common food allergies, improving eating skills, advice specific to special needs kids, and a pre-chaining program to help prevent food aversions before they develop. Food Chaining will help you raise a lifelong healthy eater. How to Make & Keep Friends: Tips for Kids to Overcome 50 Common Social Challenges : Shea provides parents and kids with social skills advice presented in top ten list format. Simple tips for the most common social challenges are included, such as how to make new friends at school, how to safely handle angry feelings, attending parties, how to share fairly, being a good play date guest and host, working in a group and more. A Volcano in My Tummy: Helping Children to Handle Anger: This book presents a clear and effective approach to helping children and adults alike understand and deal constructively with children’s anger. Using easy to understand yet rarely taught skills for anger management, including how to teach communication of emotions, A Volcano in My Tummy offers engaging, well-organized activities which help to overcome the fear of children’s anger which many adult care-givers experience. By carefully distinguishing between anger the feeling, and violence the behavior, this accessible little book, primarily created for ages 6 to thirteen, helps to create an awareness of anger, enabling children to relate creatively and harmoniously at critical stages in their development. David and the Worry Beast: Helping Children Cope with Anxiety : Learning to deal with anxiety is an important step in a child’s healthy emotional growth. Conquering fears, and not avoiding them, is the lesson imparted in this story. David could not stop thinking about the basket he had missed at the end of the big game. He was worried that he might do it again. He was worried that his team mates would be angry with him. He was worried that his parents would not be proud of him. He was also worried about an upcoming math test. In fact, David was worried a lot. “Should I quit the team?” he asked himself. “Should I be sick tomorrow and miss the math test?” Luckily, David finally confided in his parents and school nurse, both of whom gave him support and techniques for controlling the “worry beast” within him. Delightfully illustrated, it focuses on a very real and essential topic. The Sensory Child Gets Organized: Proven Systems for Rigid, Anxious, or Distracted Kids : Every year, tens of thousands of young children are diagnosed with disorders that make it difficult for them to absorb the external world. Parents of sensory kids—like those with sensory processing disorder, anxiety disorder, AD/HD, autism, bipolar disorder, and OCD—often feel frustrated and overwhelmed, creating stress in everyday life for the whole family. Now, with The Sensory Child Gets Organized, there’s help and hope. As a professional organizer and parent of a sensory child, Carolyn Dalgliesh knows firsthand the struggles parents face in trying to bring out the best in their rigid, anxious, or distracted children. She provides simple, effective solutions that help these kids thrive at home and in their day-to-day activities. Quirky Kids: Understanding and Helping Your Child Who Doesn’t Fit In- When to Worry and When Not to Worry : Quirky Kids takes you through the stages of a child’s life, helping to smooth the way at home, at school, even on the playground. How do you make it through mealtime, when emotions often erupt? How do you help the child’s siblings understand what’s going on? Is it better to “mainstream” the child or seek a special education program? How can you make a school more welcoming and flexible for a quirky child? How do you help your child deal with social exclusion, name-calling, and bullying? Choosing the right therapy for quirky children is especially difficult, because their problems fall outside traditional medical categories. Coping strategies might include martial arts or horseback riding, or speech and occupational therapies. Klass and Costello cover all the options, as well as offer a thorough consideration of the available medications, how they work, and whether medication is the best choice for your child. Asperger Syndrome and Sensory Issues: Practical Solutions for Making Sense of the World : Asperger Syndrome and Sensory Issues attempts to explain how many children with Asperger Syndrome (AS) relate to the world through their senses. Chapter 1 is an overview of sensory integration terminology and a discussion of how the sensory systems impact behavior. Chapter 2 takes an indepth look at sensory issues associated with AS. Chapter 3 introduces assessment tools that can assist you in pinpointing sensory characteristics. Chapter 4 offers a series of intervention strategies. Chapter 5 presents a case study outlining the sensory assessment of and subsequent programming for a child with AS. Beautiful Oops! Barney Saltzberg, the effervescent spirit behind Good Egg, offers a one-of-a-kind interactive book that shows young readers how every mistake is an opportunity to make something beautiful. A singular work of imagination, creativity, and paper engineering, Beautiful Oops! is filled with pop-ups, lift-the-flaps, tears, holes, overlays, bends, smudges, and even an accordion “telescope”—each demonstrating the magical transformation from blunder to wonder. Thanks for this list. I just bought one and have another on my wish list. This is a good list. I’ve read 3-4 of them. However, in my opinion, the absolute best book and resource for a parent of a child with SPD is Sensational Kids by Lucy Jane Miller.